This is done to celebrate the year of the horse that is arriving at the end of January 2014. The glass panel is 0.25″ clear glass. 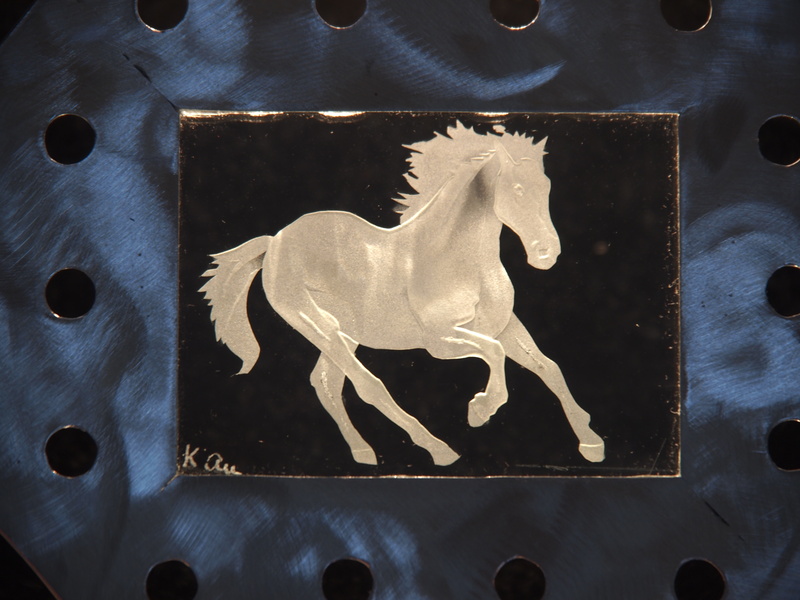 The horse is etched on with multi-stage sand blasting. 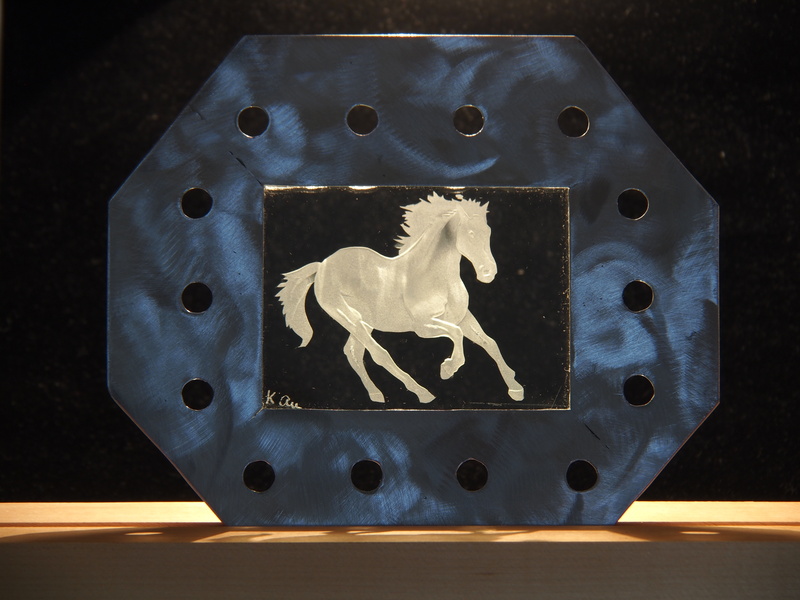 The frame is mild steel polished with a swirl pattern and coated with clear polyurethane.